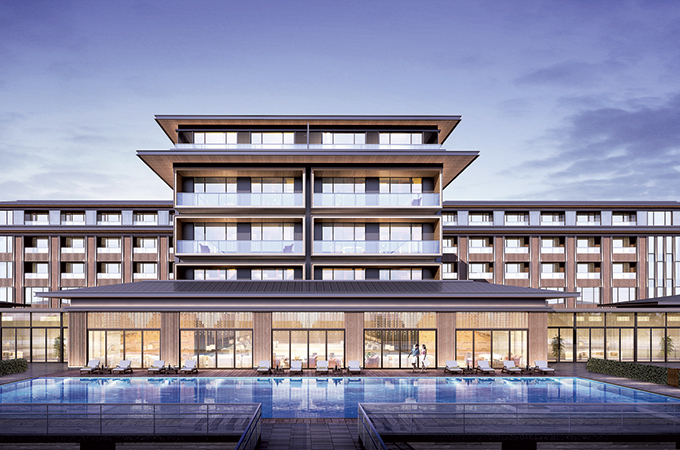 Anantara Hotels and Resorts announced plans to diversify its portfolio in China by launching the first luxury global hotel brand in the Qingyang District of Chengdu with the opening of Anantara Jinsha Chengdu Hotel in 2021. The property will be part of the integrated Essence Chengdu project, developed by Chengdu Tai Hang Rui Hong Real Estate. Located in Chengdu’s western Qingyang district, Essence Chengdu will cover a 200-hectare site of five plots. Phase one will consist of mid-tier and high-end serviced apartments, town houses, high-end residential villas and the 150-key Anantara Jinsha Chengdu Hotel which will open as the only ultra-luxury resort hotel in Chengdu, fronting the project’s 47-hectare eco-wetland park to provide an urban oasis with far greater privacy and outdoor space compared to other central city hotels. Located along the Yangxi Western Third Ring Road in Chengdu, Essence Chengdu boasts a prime location with multiple advantages for business and leisure guests. The mixed-use project will be a 20-minute drive from the new high-speed Chengdu West Railway Station, 50-minutes from Chengdu South Railway Station and only 30-minutes from Chengdu Railway Station. Chengdu Shangliu International Airport is a 40-minute drive and Chengdu City Centre just 30-minutes. Capitalising on Chengdu’s fast-paced developments, the new Anantara Jinsha Chengdu Hotel is strategically positioned for increasing demand. At present, hotels in Chengdu are concentrated in the city centre, accompanied by a second hotel submarket in Tianfu New District. By contrast in the western Qingyang district there are currently no upscale and luxury hotels, nor any international branded hotels, meaning that the new Anantara will be the first luxury and upscale global hotel brands in this growing and well connected part of town catering to high-end leisure and business guests. RENOWNED for its pleasant climate and popular food, Chengdu is home to the world-renowned breeding and research base for giant pandas, which attracts almost 100,000 visitors annually, along with a wealth of historical attractions. The Jinsha Historical Museum displays ancient relics from an archaeological dig site.